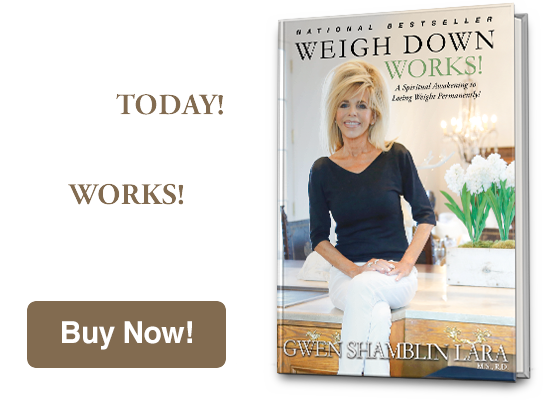 Many years prior to achieving the claim of “National best-selling author,” Gwen Shamblin sat in a small humble retail setting in Memphis, TN leading local classes to desperate, overweight people on how to lose their weight permanently. With her background as a Registered Dietitian, a master's degree in food and nutrition, and a University Instructor of Foods and Nutrition for five years, Shamblin saw very early on that current modern-day solutions to weight loss were not yielding results…simply put, Americans were becoming increasingly overweight. The program was packaged for seminar use, churches began to sign up, and the media began to pay attention. The growth was explosive. By the late 1990s, Weigh Down was internationally known in most Protestant, Catholic, and Evangelical churches. Gwen Shamblin and The Weigh Down Workshop were featured on such shows as 20/20, Larry King Live, and The View, as well as in such magazines as Good Housekeeping and Woman's Day. 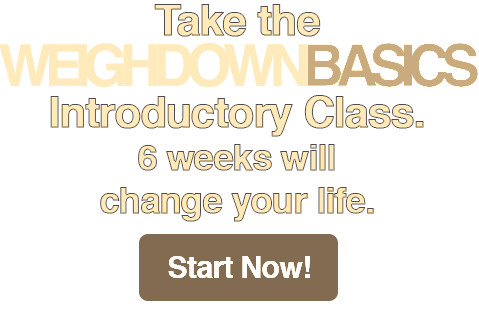 In 2014, Shamblin penned a follow-up book to "The Weigh Down Diet," entitled "The Tablet," delving further into the complexity of heart of man by addressing and providing answers to a wide range of issues such as addictions and broken relationships. Her love for God, His church and His church inspired her to write other books over the past 20 years such as Rise Above, The Legend to the Treasure, The History of the One True God, The History of the Love of God, The Breakthrough Series and two devotionals—The True Vine Devotional and The Exodus Devotional: Laying Down Your Stronghold. Shamblin’s deep love for children and childlike heart prompted the writings of Feeding Children Physically and Spiritually, A to Zion Children's Book, In the Beginning, The Garden of Eden, and the Children’s Treasure Devotional Workbook. Today Gwen, her husband Joe Lara, and their children and grandchildren live within a few houses of each other. They are a close knit family who get together practically every day and thoroughly enjoy each other’s company. In a day and age where many children go away to college with no thought of supporting their parents interests, Gwen’s children Michael and Elizabeth as well as their respective spouses, Elle Shamblin and Brandon Hannah, play very active roles devoting themselves to the work of Remnant Fellowship Church - and have done so for many years. Shamblin continues her writings while while overseeing the needs and direction of Remnant Fellowship Church, which she founded in 1999.